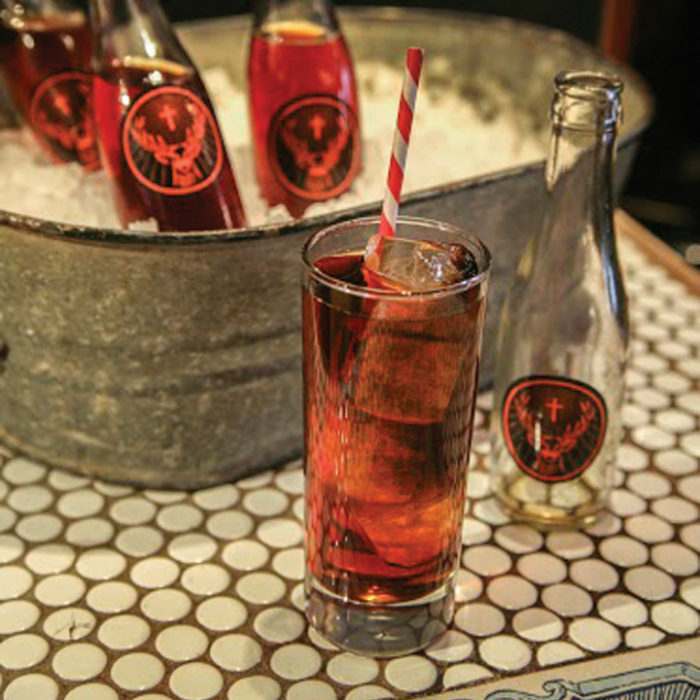 It was the last weekend of the 2012 elk-hunting season in Montana. I had hiked almost 320 miles looking for an elk to fill my non-resident license. My roommate Jack Mueller from Ennis, my friend Greg Schenk from Whitehall, and myself decided to give it one last effort to fill our elk tags. On Friday afternoon, we prepared to hike deep into an area where we had heard that there were multiple bulls moving through. We dropped one truck at the bottom of a drainage coming out of the Gravelly Mountains, and then we drove another truck up as high as we could get and headed out. We had our sleeping bags, tents, and enough food to last for three days and two nights. Then, we started our hike into the mountains until we cut a set of tracks or saw an elk. About a half hour before dark, I caught up to two bull elk following their tracks through the snow. Jack and Greg were in a clearing a short distance behind me. The first bull I saw moved behind some brush right after I saw him, and did not present me with a shot. Then I saw the second bull moving down from the left, so I held on the opening where he would walk through and pulled the trigger, my shot was on target, but the bull kept on moving. I followed the bull over a small rise and to my surprise saw both bulls standing there. I shot at my bull two more times until he dropped, ensuring he did not run off. 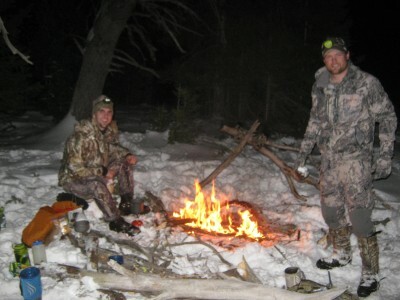 That night, we field dressed my bull and set up camp on the ridge. 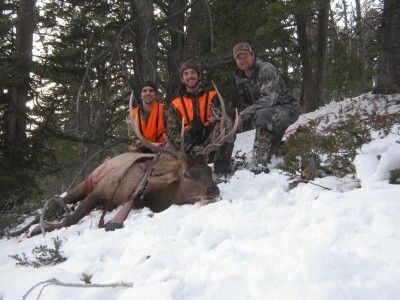 The next morning, Jack and Greg went hunting while I worked on sliding my bull down to the meadow and packing it out. We were five miles from the bottom truck. Sliding this bull down the timbered hillside proved to be harder than I expected. About halfway down, I decided to cut the bull in half, put the straps and loins in my pack, and strap the head to my backpack with all of my camping gear and rifle. Then I slid two halves down the hill. Our plan was to meet at the trail intersection at the end of the ridge where we were camped. I took the first load out to this intersection and ran into Jack as he was following some bull tracks that would eventually lead him to the top of the ridge where his truck was. I continued hiking out to my truck and later on met up with Jack again. As Jack and I hike during the day either one of us had not come across Greg. At about 3:30 in the afternoon, Jack and I headed back into the drainage to find Greg and possibly go get some quarters off the elk. We still did not run into Greg, and instead of going to my elk we decided we would back to the truck wait until Greg got there. When returned to the truck Greg was also there. It turns out that he had followed bull tracks to the area where my elk was laying and decided to quarter it , and pack out one of the quarters. 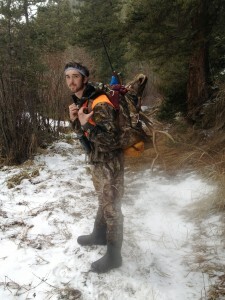 On Sunday, we packed back in to get the remaining three quarters of my elk. It was a great weekend hunt for me, thanks to Jack and Greg, and a end of a hard but fun season of hunting.